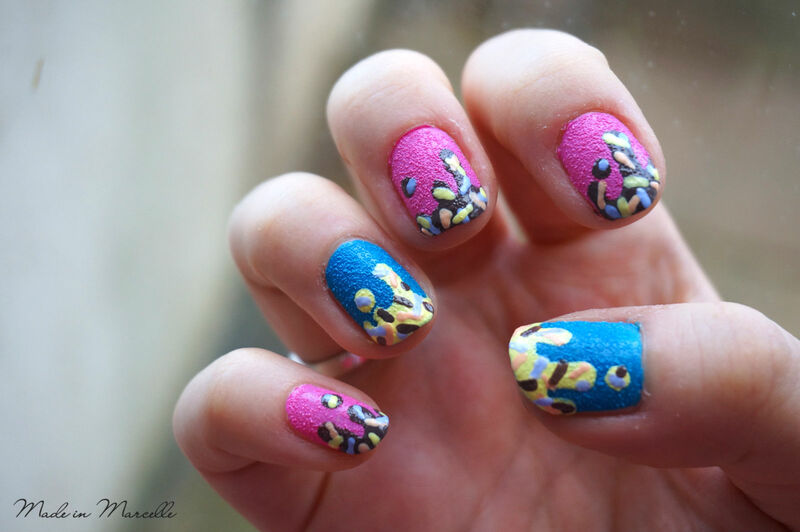 Following on with the theme of dessert for this month's WIMIM theme, I chose to add a bit of sweetness to my nails. And speaking of dessert, my favourite dessert is ice cream!! 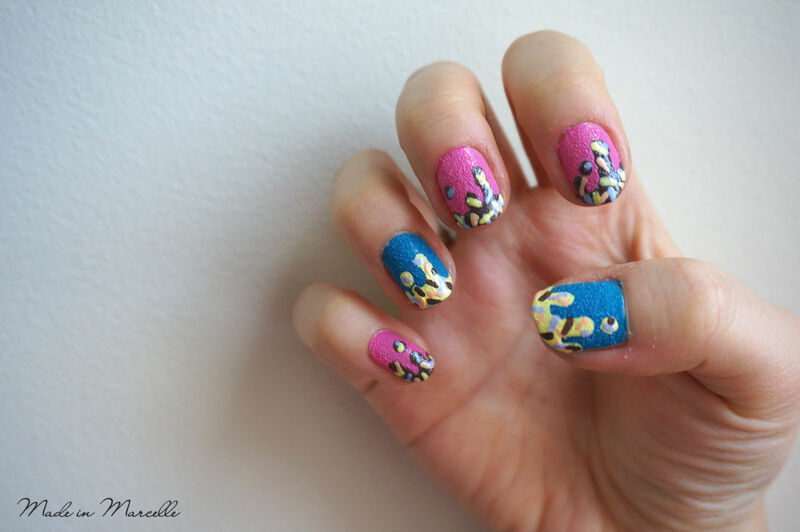 And I've already mentioned my love for Ben & Jerry's Phish Food back in August in this post. You could say that ice cream is both my friend and my foe. A love/ hate relationship. A relationship that cannot be continued nor broken. A match made in heaven yet is evil enough to make me fat. A dessert that ever fails to lighten up my mood yet makes me so depressed and guilty afterwards. Ok I'll stop now. But seriously if I could, I would eat ice cream all. day. long. 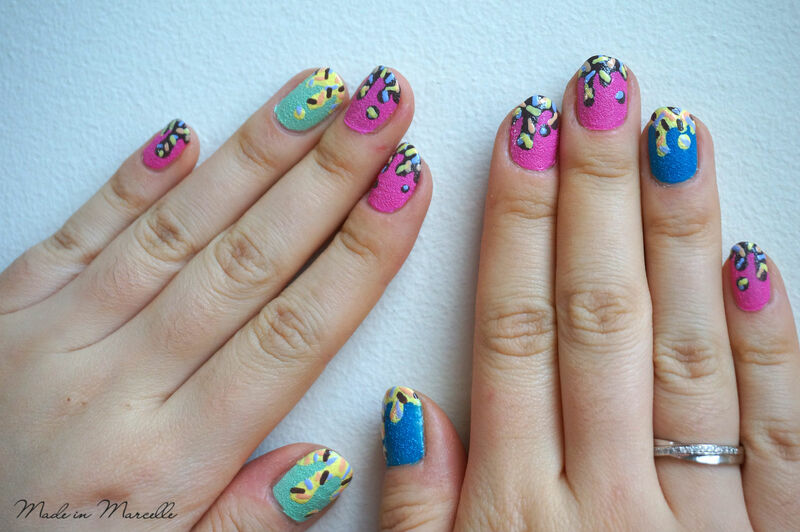 While I was researching with ice cream nail designs, I came across these nails by Julia and got inspired to create one of my own. And it turned out to resemble more like donuts than ice cream. Hmmm..
Our good friend Jean (Hi Jean;)) was kind enough to gift me these Sally Hansen Sugar Coat nail polishes along with a couple others and I put them to some good use. 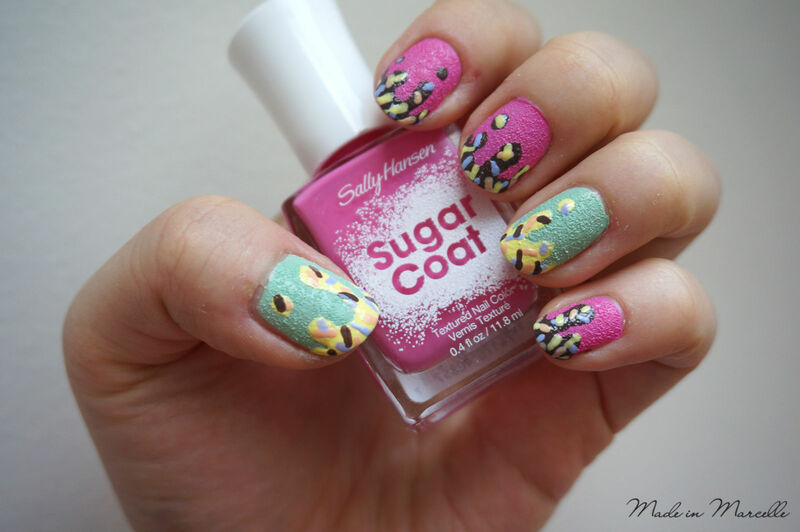 I skipped the top coat as that would've ruined the texture that the Sugar Coat gives. Don't they look so yummeh?? 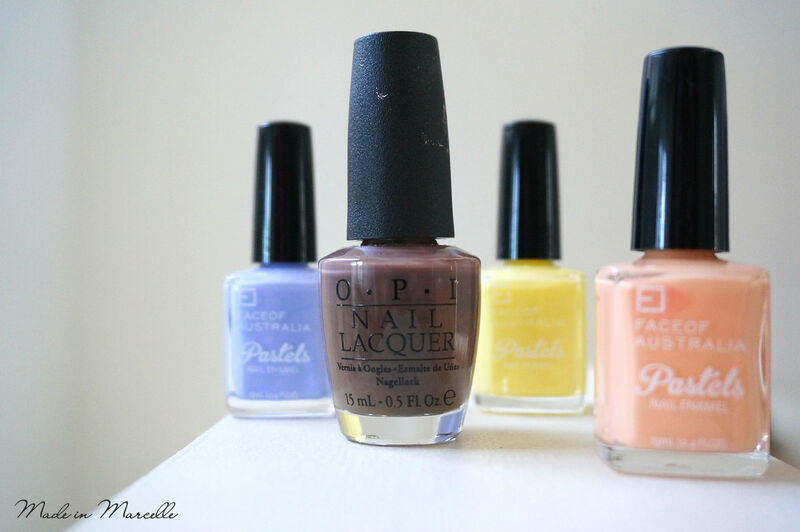 Face of Australia Pretty Pastels Nail Enamel - Would You Like Some Orange Sherbet? So what do you guys think? 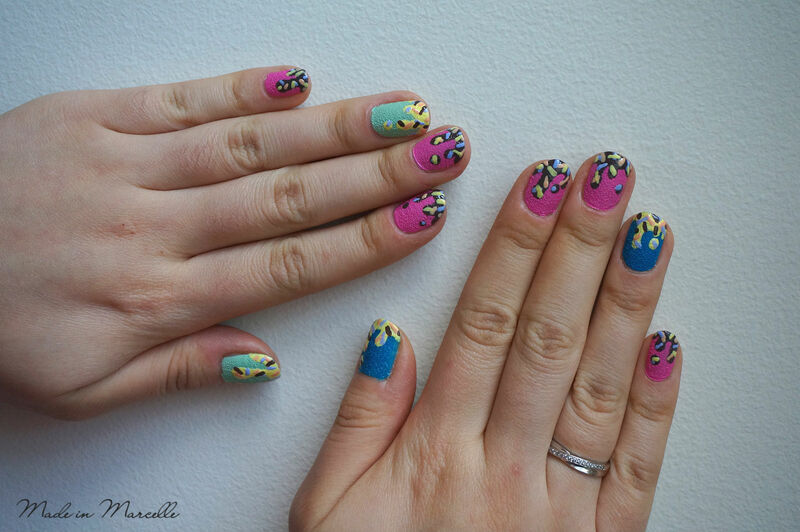 Do these nails remind more of ice cream or donuts? Or something else entirely? Wow! 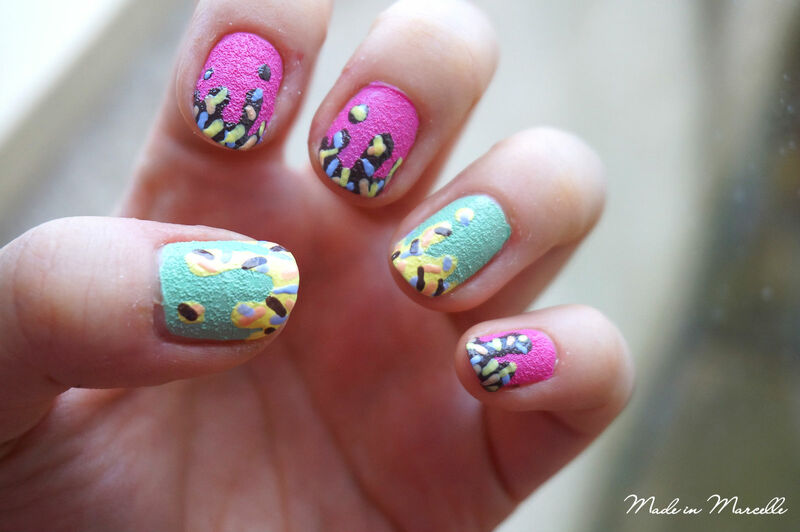 Amazing...ly kind of Jean to give you all those polishes. She must be one cool cat! Thanks Lily that's a good way of putting it! Eeeks! 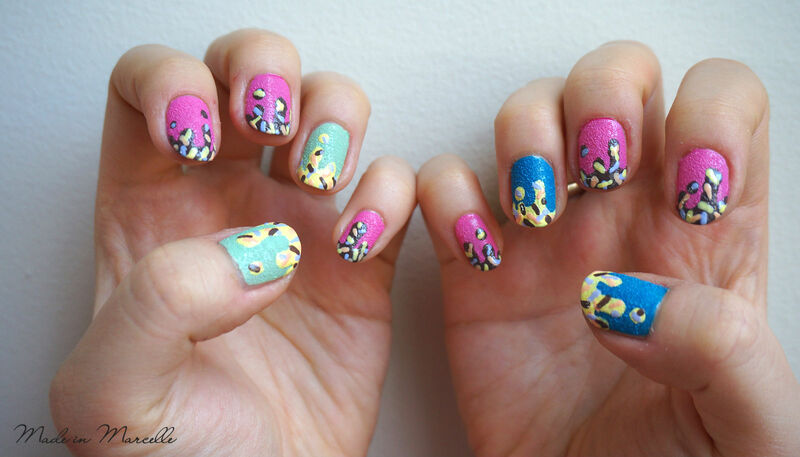 Your nails look so cool!! 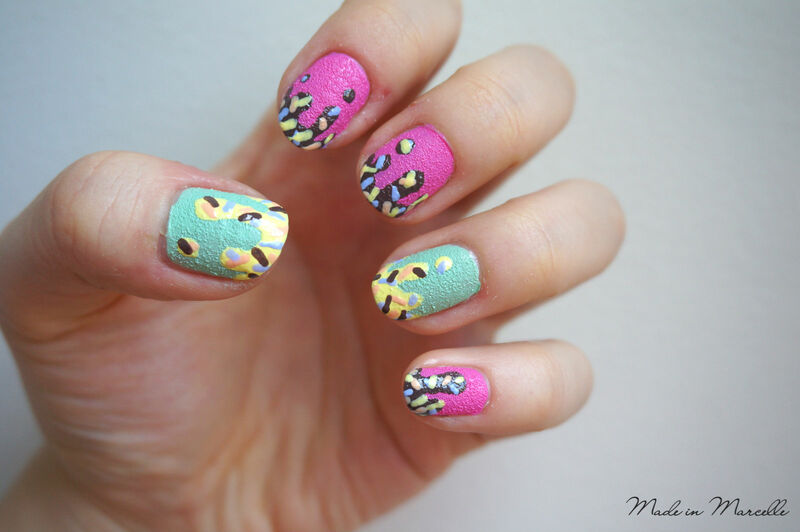 P.S I love the nails!